ChangingTimes: What is in my School Bag? Autumn 2015. 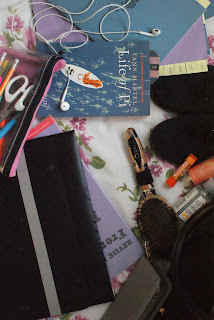 Today I have a what is in my School Bag for you for Autumn 2015. I go back to school on the 2nd September so I have most of my school supplies ready so I thought I would share it with you! My School Bag is the Lottie Tote from New Look and it is £27.99. It is the perfect size for school to carry books, lunch, stationary ect. I love it and it feels like it will last a long time. Firstly, I have my pencil case. The actual case is from Wilkinson and I think is was about 59p around two years ago. Inside I have a pair of Sissors, gifted for me by my Grandma for Christmas, just white and metal and always handy for at school. I have four Bic 'brite liner grip' in Pink, Yellow, Blue and Orange which are perfect for my work as I am doing my MFL (Modern Foriegn Language) GCSE early so I need to be uber organised and focused. Also, it contains, two Bic 'round stic' pens, two pencils, a red pen, ruler, protractor, ruler, rubber and Bic 4-way pen. I will end up collecting more stationary throughout the year so don't worry, I will have more! I always, without fail, have a book in my bag. 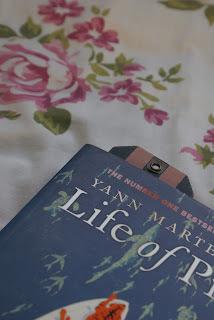 I am a total book worm, (I will be posting a few book reviews soon, if that is what floats your boat) and I am currently Life of Pi by Yann Martel. So far, I don't quite know what to think. But… I have just been on Holiday to Egypt and managed to read four books; Insurgent and Alligent by Veronica Ross, Looking for Alaska by John Green and When God was a Rabbit by Sarah Winman. All of them were amazing and reviews will be coming soon! Anyways, I have to have a book for Tutor and English lessons. I try my best to read about 4 books a month, if I have bought enough, because I feel so good after I have read a good book. Relaxed. Refreshed. Wierdly informed. Books are an essesntial for me to have for school. Next is my purse. I always have my purse with me as it holds all the money! 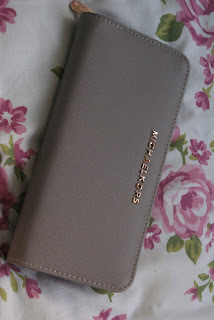 It is Micheal Kors and I loooveee itttt! Well… Egypt Micheal Kors..! It has all my cards and change which I am sad to say that it is quite empty and it makes my sad. The purse is such good quality and I can't believe it! My other purse, a smaller one I will probably be swapping this purse out for is a £5 cream and gold from Peacocks. It is about half the size if this one so it will be better one I get all my books. Here, I have a representation of my books and folders that I will be given on my first day back. I have all my French books so far as I am in my second year of excelorated GCSE and it is SO MUCH PAIN. It will be worth it tho… I hope. I will also get by school Planner which is my old one pocking out of the corner over there! Earphones! I am not aloud my phone in school. I know. Tragic. But I take earphones anyways. You never know when you will need a pair. IT, Tech even English! They are just the Apple iPhone 5c ones but they are honestly some of the comfiest pairs ever! 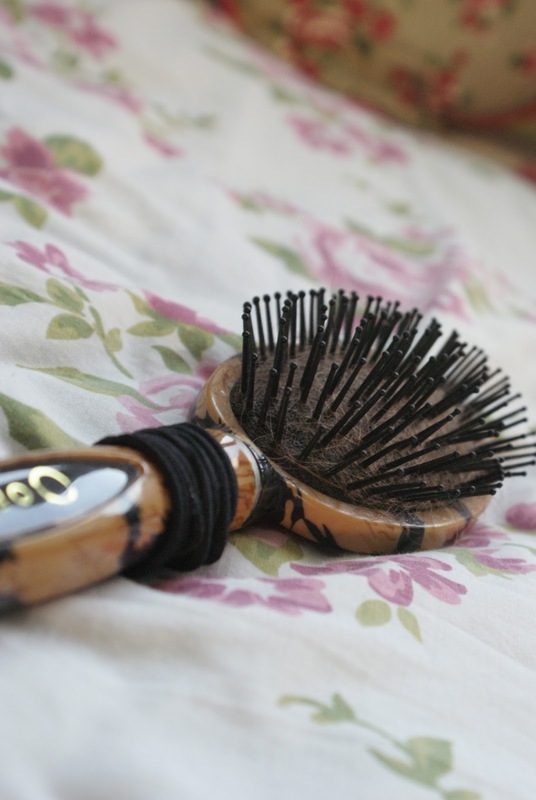 Also is a hairbrush with hairbands. 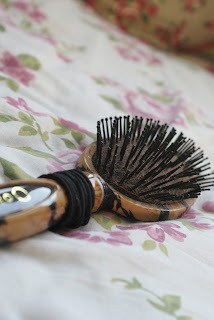 The brush is just from Primark and I got it a few years ago for Christmas so I just carry it around for PE and those days when your hair just doesn't play ball. Always there and always used. I have my essential beauty/life things that everyone needs in thier lives. The lipbalm is just a Fanta Lipsmacker as it is just the easiest and most compact one I could find. It is £3.50 from Claire's accsesories and it does the job. The hand sanitizer is the Mango one from The Body Shop, £2.50. Oh My! It's the best smell EVER! I love it! Can't even explain to you, you just need to smell it! Finally I have an Impulse Body Spray in Vanilla Kisses. The smell is okay but I am going to buy a new spray because we are not aloud to take aerosolse to school because of asthmatics. It is £2. I also keep a deodrant and other essential things in there but you don't probably want to see that. At my school, we have to have a thing called Drama Shoes. When we do Drama we have to have specific shoes. Mine are just plimsoles from Primark so I can just shove them in my locker and forget about them for the year. Nothing special. That is everything that I keep in my school bag at the start of term! By the third week, we all know that it will be full if scrap pieces of paper and wrappers and other random rubbish that we don't need. That's not just me right?! So, I will see you next time?